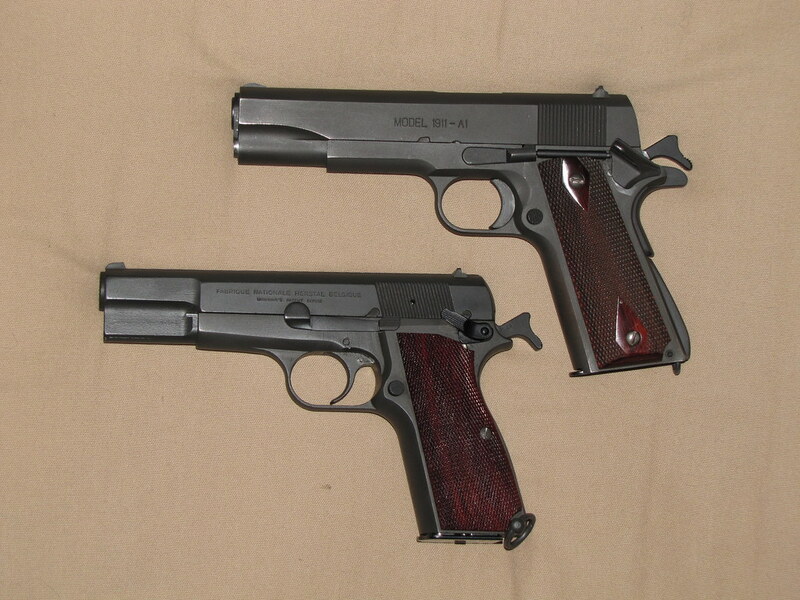 The Hi-Power is sporting cocobolo. Colt calls the wood I have on the Springfield rosewood. Both cocobolo and rosewood are from genus dalbergia, so it stands they should look similar. A buddy saw the Rosewood stocks on my carry gun and mistook them for cocobolo. Never compared the two words, so it makes sense .